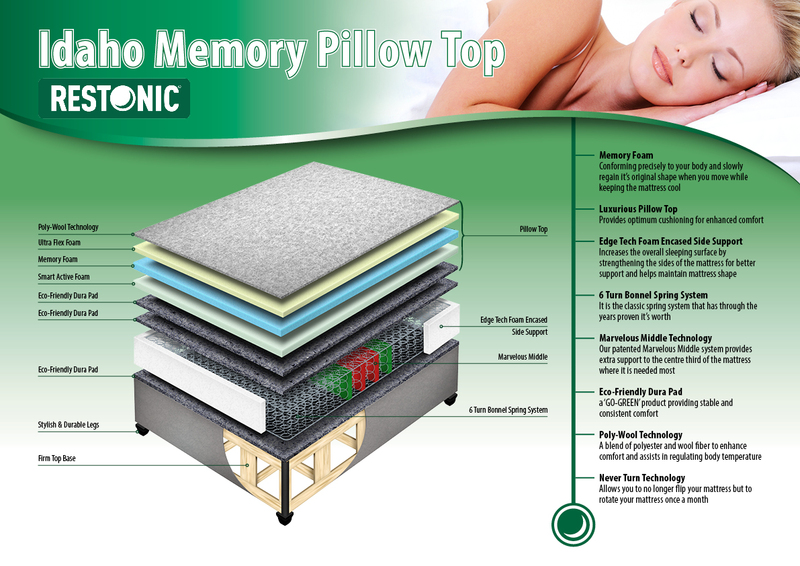 The Restonic - Idaho Memory Pillow Top combines support and comfort perfectly and is the best option for anyone wanting a medium feel mattress that is decidedly more luxurious. 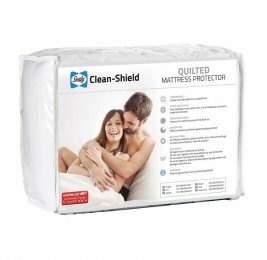 This mattress provides support and comfort that is usually only found in much higher priced options. Generous on features for enhanced comfort and the latest technology materials makes this the perfect choice for anyone not willing to sacrifice comfort or luxury whilst remaining on budget. Argentum Silver Fabric - Argentum + mattress fabrics combine a highly effective moisture management technology with an innovative antibacterial finish based on the silver ions. Your mattress will stay cool, fresh and dry during your sleep. At the same time, its pleasant softness will caress you, night after night. 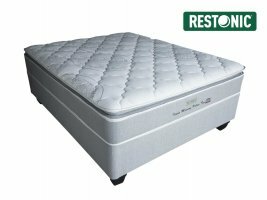 Argentum + mattresses are ingenuously engineered for the ultimate sleeping experience. Memory Foam - Conforming precisely to your body and slowly regains it's original shape when you move while keeping the mattress cool.